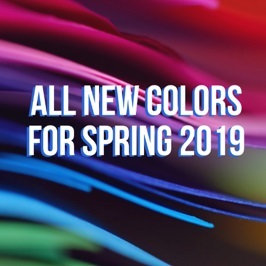 NEW COLORS FOR SPRING 2019! 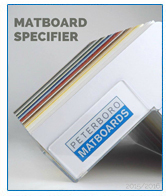 Peterboro is thrilled to launch a fantastic new array of colors across four popular matboard categories. 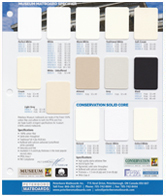 Exciting new colors can be found in our Conservation, Whitecore, Blackcore, and Conservation Solid Core lines. Visit our Request a Sample page to request yours today! 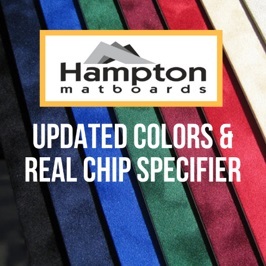 In January 2019 we released our new Hampton Suede specifier with 6 updated colors. 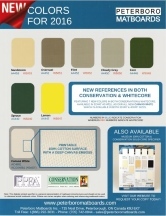 Each color in this line is perfect for sports memorabilia and decorative framing. Contact us for more info! 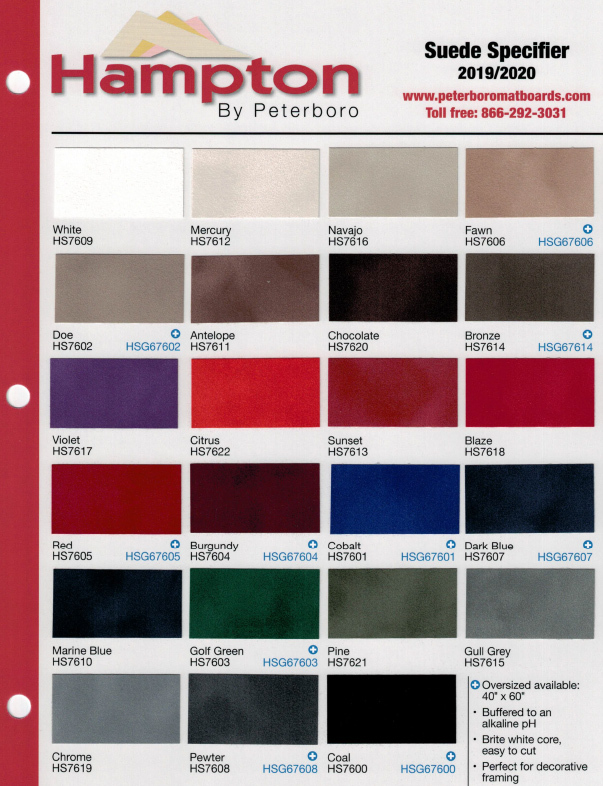 Peterboro is proud to introduce 35 NEW Fabrics to our existing Designer Fabrics line for January 2018. Featuring a conservation core and backing, these new fabrics are divided into 5 style categories ranging from natural and rustic, to chic and contemporary. 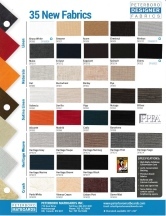 For samples, click here or contact your local distributor and reference "CS-FABRICS-NEW 2018" for your samples. 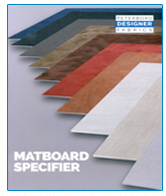 Peterboro Matboards Inc is proud to introduce NEW Museum colors and references to its industry leading Museum (Rag) matboard line. Always, best in class quality and value. 3 new colors: Perfect White, Almond and Grey. 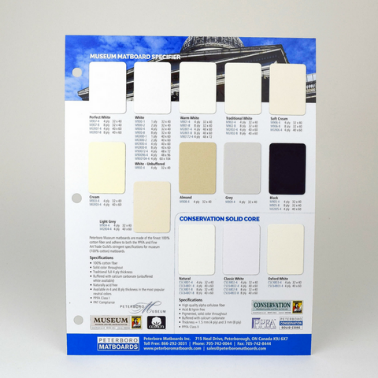 Perfect White is the whitest – white available in a museum matboard and don’t worry, we are not using optical brightening agents to make it this way. It comes in 32x40 & 40x60 in both 4 and 8 ply thicknesses. Almond and Grey are being introduced as a result of industry feedback, framers were asking for us to expand our range in these two color families. Available in 32x40 4 ply. To simplify the framing process for oversized pieces we are introducing these items in 40 x 60 packs, not in large carton quantities. The 1 ply will be available as a 5 pack and the 2 ply as a 3 pack. This packaging will minimize damage that typically occurs in the shipping and handling process. With the color trend in rag mats expanding to warm white we have add a jumbo size, 48 x 72 to our warm white offering. 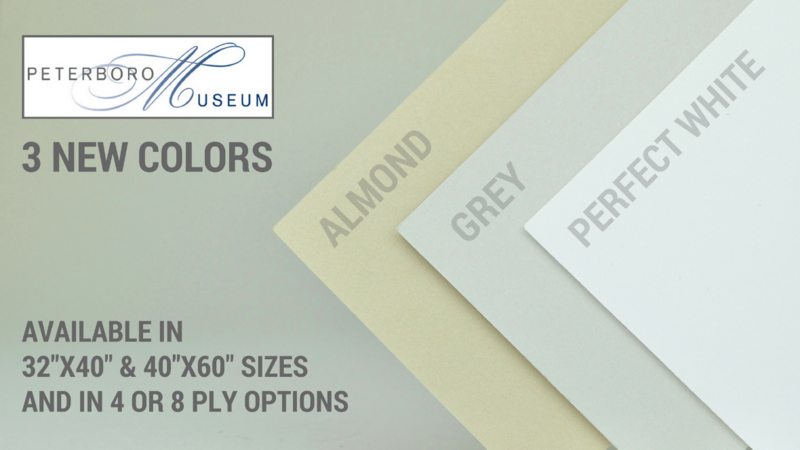 Additionally, we have created a single page Museum specifier with surface paper color chips that outlines our complete Museum matboard offering. Given that museum users are typically conservation solid core users we have added to this specifier our Conservation Solid Core references introduced last fall. To receive a corner sample set containing all Museum and Conservation Solid Core references CLICK HERE, or call your local Peterboro distributor and reference item # CS-MBCSC-0417.